I have been buying Nightie Night Lane pyjamas for a few years now and, as happens when you buy from a small business, you chat via email with the owners and get to know them a little. Incredibly weirdly, it turned out that one half of the duo behind Nightie Night Lane, Verity, is actually the mother of a friend of Pud’s at school and one of my fav school mums. This blew my tiny mind as I had been talking online to Natalie who lives in NSW, and was not even aware the other half of the duo lived around the corner from me AND I KNEW HER…Natalie joined the dots for us! It turns out that Natalie is a seamstress of note, a party planning wonder AND loves a book themed party…so clearly we are kindred spirits. 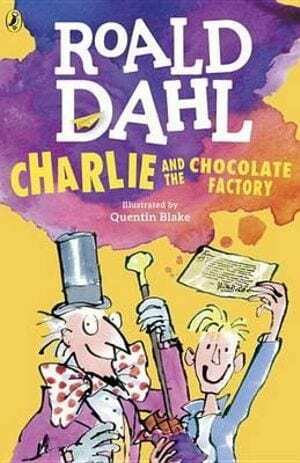 Natalie shared the details of the recent Alice in Wonderland 10th birthday party here, and today she is back to share how she created a Charlie and the Chocolate Factory party. Kids parties! I absolutely love kids parties and can remember the parties my parents gave me and Mum making strawberry shaped cardboard berets for my friends at my strawberry shortcake party! Lucky for me, my children seem to have caught my party planning bug too. They tend to choose their theme around nine months before their birthday so I, naturally, go into Pinterest overdrive. Sometimes they change their mind at the last minute – “boy vs wild” party that became “LEGO Batman” two weeks before the party! But usually they stick to the plan. We love a book themed party on Nightie Night Lane and this one was magical. 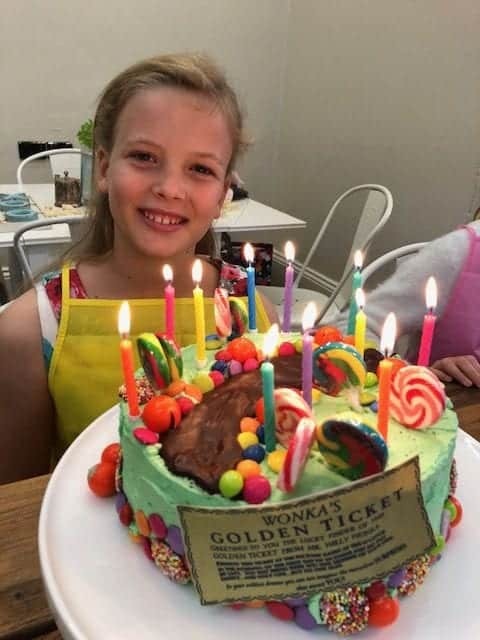 Our little lady LOVES baking, cake decorating and cooking of any kind so this year, she decided to have a Charlie and the Chocolate Factory party and it had to involve cooking. 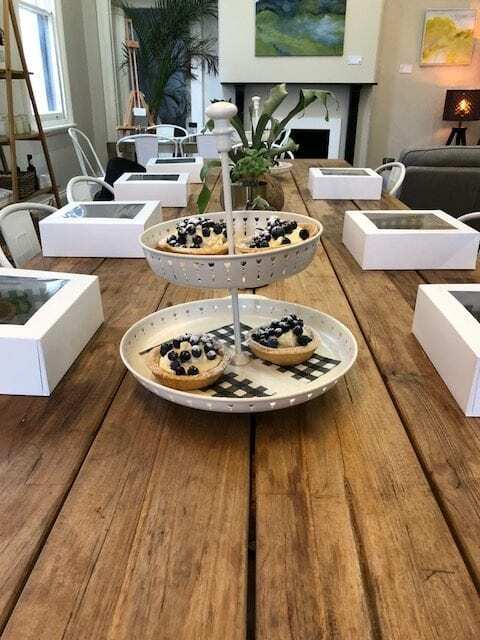 We began as we usually do and started planning to have the party at home….. with a newborn…..Luckily sanity prevailed and the party was held at the most delicious cafe/ cooking school here at Maitland in the Hunter valley NSW. 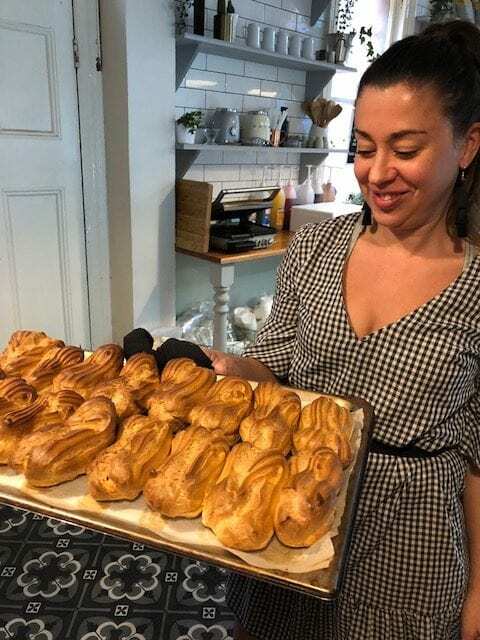 Pop in and visit Alina at The Cunning Culinarian. Usually Alina is open for breakfast and lunch. Her eggplant burger will have you licking the plate and the melting moments are the best. 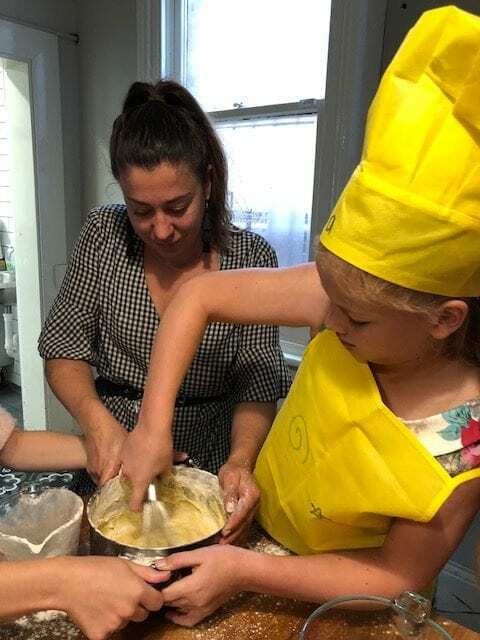 They run kids cooking schools throughout the school holidays. She also has a fridge full of ‘heat and eat’ family dinners so all round, Alina is a bit of an angel. When I popped in to talk to Alina about my party theme, I think she thought I had completely lost my mind but she was happy to go along with my crazy ideas, although I did promise I wouldn’t ask her to make lickable wallpaper! 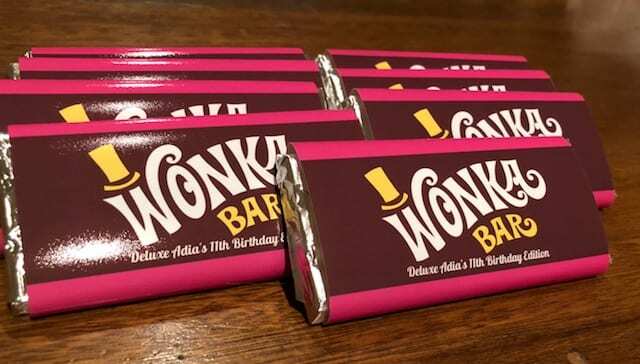 The invitations of course had to be a wonka bar, complete with a golden ticket under the wrapper. I bought an editable template from this Etsy store here and printed them as 4×6 photos then wrapped them around an Aldi chocolate bar. They were a HUGE hit. The kids are still talking about them. I made an extra one, minus the ticket for the lolly bags. Then we had to eat something. It had to be in the theme but I didn’t want the girls to eat too much chocolate so we went with Violet Beauregard’s three course gum menu. 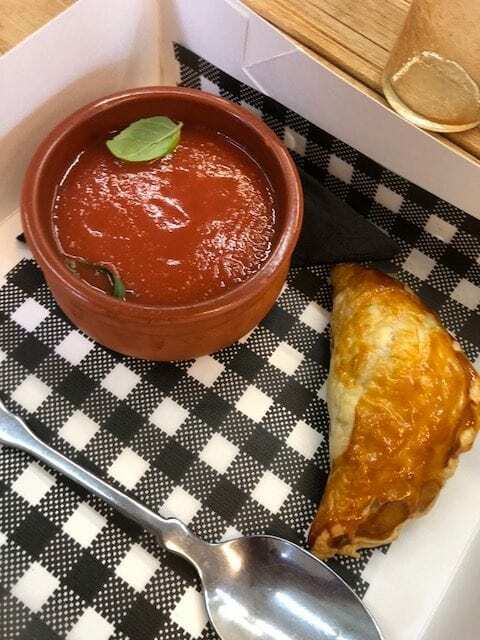 They had tomato soup, beef and potatoes – these were little pasties so they were easier to eat at a party and of course, blueberry pie and cream. Just like the book, they really were the best blueberry pie I’ve ever tasted. Alina and her team were amazing when it came to the cooking class. 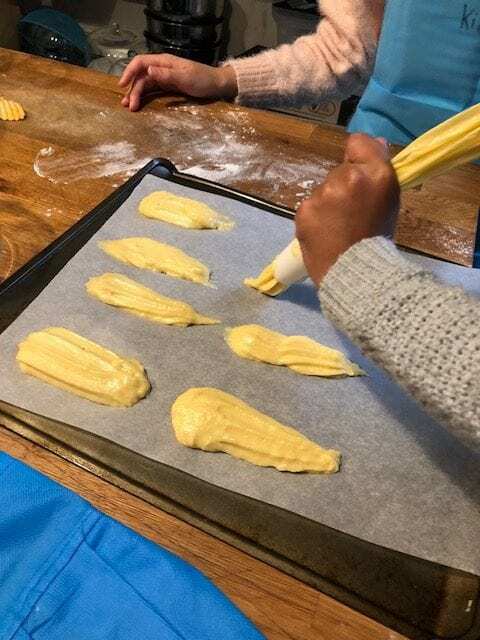 The girls all helped to make choux pastry from scratch and then piped them into eclair shapes. 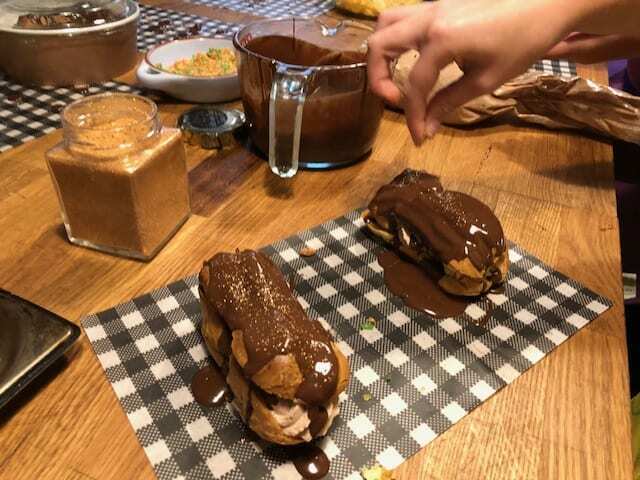 While they were in the oven they whipped up some chocolate cream to fill the eclairs and chocolate ganache to top them before sprinkling with edible gold dust. Each child took their own eclairs home at the end. The cake was my department and it had to be my favourite chocolate cake of all time “Anne” from Beth at BabyMac. It takes a while to bake but is easy to make and is a perfect, vintage style chocolate cake. The cake was decorated with a chocolate ganache river, lollies, lollipops and a golden ticket you could actually eat which I sourced from here. The birthday girl had a wonderful time with her friends. Thanks so much Natalie – and you’re about the tenth person to recommend that darned Anne cake of Beth’s so I guess I better cook the darn thing and try it for myself! The Nightie Night Lane organic cotton PJ’s are utterly gorgeous, affordable, hard wearing (ChickPea trashes clothing and has not yet managed to damage one of their nighties), so very, very beautiful to wear. 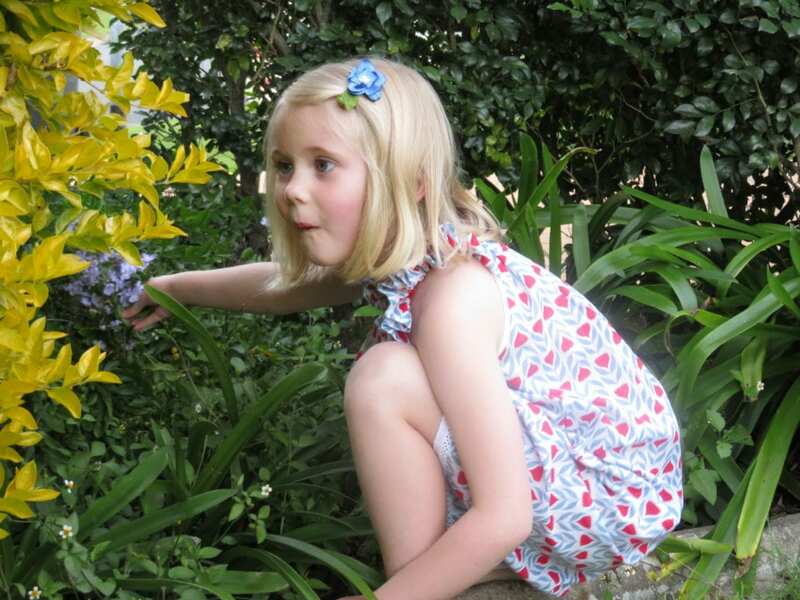 As a child I had gorgeous cotton nighties and I searched everywhere for the same for my own children. We now own quite a few nighties and sets of PJs, my most recent purchase being the very beautiful ‘Mrs McGregor’s Garden’ night for ChickPea, pictured below. Hi there might be the mobile site but i can’t find a subscribe button on your site?